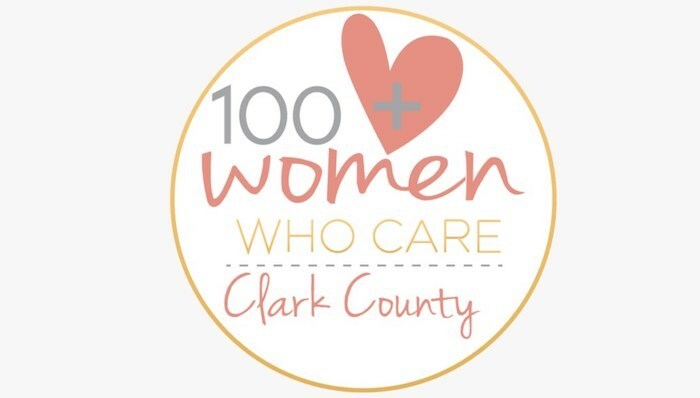 I’m (Debb) part of a group called, 100 Women Who Care Clark County. The goal of the organization is to make a difference by coming together to support the health and growth of our community. We meet quarterly ( once every 90 days) for an hour to hear presentations from three randomly chosen non-profits benefiting the community. We listen to short heart-felt speeches and then take a vote. Once the non-profit is identified, each of the members donates $100.00, for a total of $10,000. This month, 100 Women Who Care voted to donate our money to Villages Clark County– a plan not a place – independent living with a community of support. This great non-profit relies on like-minded volunteers who help older seniors age comfortably, and safely, in their own homes. Carefully vetted volunteers do everything from changing a light bulb on a ceiling fixture; to driving, grocery shopping, yard work, spring cleaning, home repairs, and companionship. While the name 100 Women implies there are just 100 members, the group can grow and grow. It’s our hope more women will join in our efforts. Imagine the donation power of 1000 Women Who Care. In my opinion, four hours a year and four-hundred dollars x 100 Women ( or more ) is a powerful way to make a positive impact on our community. We are so excited with our gift for each other this year. 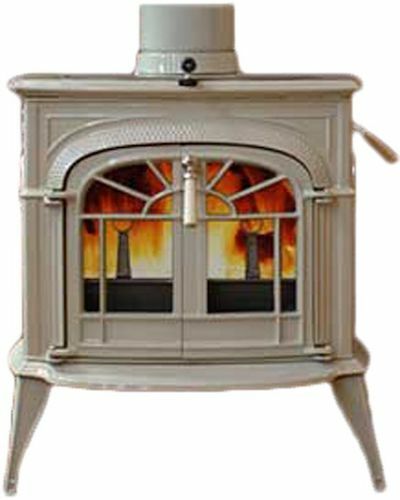 It’s a beautiful cast iron Vermont Castings wood stove in a soft creamy white. Bernie even managed to sell our old wood stove for a surprising sum of money. I guess those who love the Quadra Fire brand have a real affinity for the old stoves. Granted it was a good heat source, but too much for our living space. It nearly cooked us out of the room at times. The new stove is better suited for our Great Room space and even comes with a spark screen for fireplace-like viewing when the doors are open, or removed. Ambiance baby. As stewards of nature and the planet, we are also thrilled that it’s made from 100% recycled materials and production processes that utilize renewable energy. In addition, it’s clean burning so we won’t be adding as much pollution to the air. Once the buyers of the old stove removed it from our hearth, we had Matchbox Chimney Sweeps come to make sure things were in order for the new stove, and the new burn season. We are so happy we found Matchbox, they do a thorough job. In addition to cleaning out any creosote, he gave us some burning tips for preventing future buildup. Avoid burning low and smoldering fires. Only burn firewood that is dry and has cured at LEAST 12 months. We were familiar with the first two, but like many owners of wood stoves we load up our stove at night and tamp down the air. The idea, keep a low smoldering fire burning until morning. The problem is that when warm smoke meets a cool chimney, it creates the creosote that can cause chimney fires. Without regular proper cleaning, the creosote builds up in layers eventually glazing the inside of the chimney. Once it gets to this stage, it’s a bit more challenging to remove. 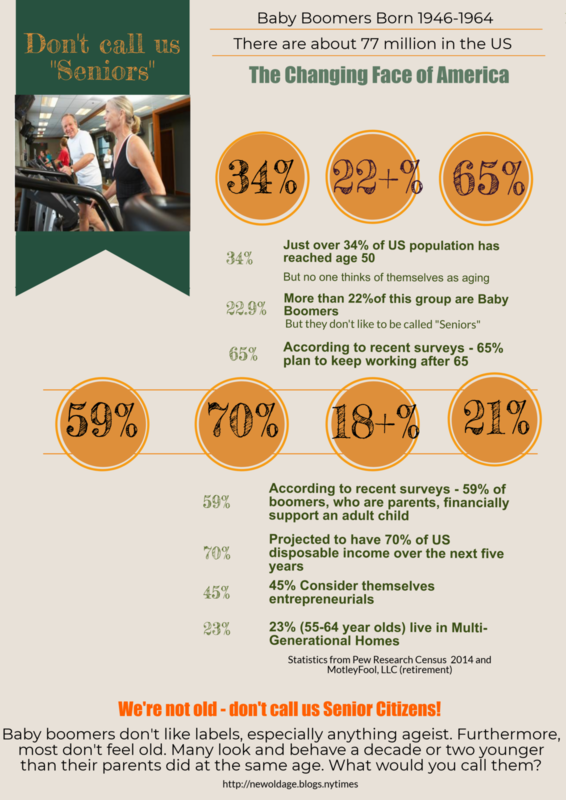 MultiGen Living is On The Rise in U.S.
Multigenerational living, “multigen” for short, is on the rise in the U.S. It has long been a tradition in other countries, but in 2014 the Pew Research Center reported that a record 60.6 million Americans now live in multigen households. That is nearly one in 5 households. 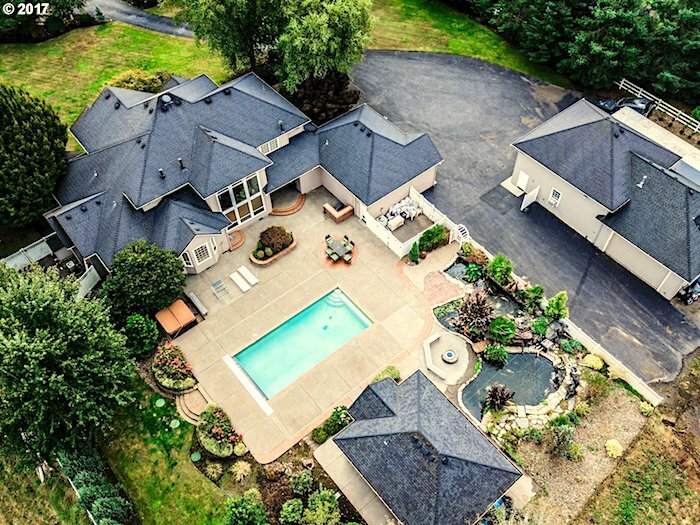 This trend continues today as the housing market responds to the demand for multigen homes. Median Days on Market was 25 days – multigen homes do not last long in this market! Nature As Neighbors - Wild Alaska Live! At Nature As Neighbors, our love of nature and wildlife is a big part of our lives – and real estate business. Therefore, we’re very excited ( and proud) for the upcoming BBC/PBS show, Wild Alaska Live. The show is hosted by the well known Kratt Brothers and Steve Backshall. It airs live on PBS and BBC o to over 3 billion viewers worldwide on July 23, 26, and 30. Juneau’s iconic Mendenhall Glacier was chosen as the centerpiece for the production. The best part, our son, Sean Janes, and several of his staff members at Above and Beyond Alaska, are running safety and support for the project. We’re hoping they might even get some camera time. Imagine the logistics of hosting a live show from a wilderness location. They can’t use the standard, loud generators out of concerns for the local wildlife. Plus they are using special chew-proof cables on the many cameras placed throughout the area in hopes of capturing wildlife photos. If you love nature, wildlife, Alaska, and adventure in general, be sure to look for it on your local PBS schedule. These are some of the pre-production shots Sean shared with us yesterday. We thought it was amazing that he was texting photos from the bottom of a hole in the Mendenhall Glacier. Isn’t technology grand? The Waterfront Renaissance Trail offers many stunning views. 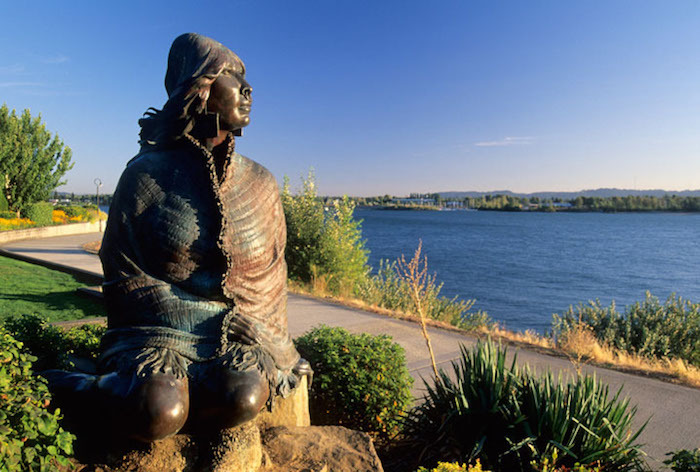 We imagine Ilchee enjoying it too as she keeps watch over this section of the mighty Columbia River. Perhaps, we hope, she might dream of the days when she paddled her own canoe with the skill and power worthy of a chief. 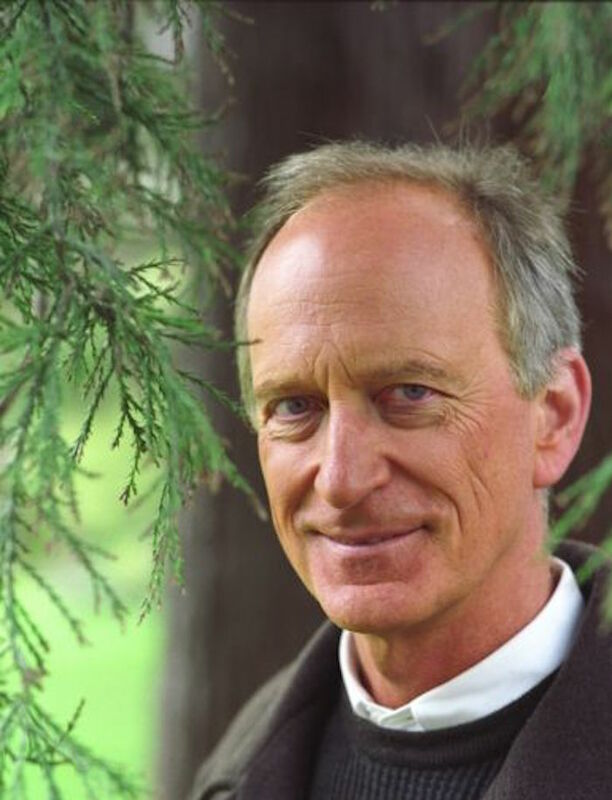 Earth Day founder, Denis Hayes was born in Wisconsin, but grew up the charming small town of Camas, Washington. His experiences growing up in the Pacific Northwest helped instill his love of and appreciation for nature. His passion for protecting the environment came from witnessing the harm the local paper mill was doing, at that time, to the pristine environment, and its populace. Fortunately, times have changed. New Environmental Protection Agency “cluster” rules require pulp and paper mills to significantly reduce air and water emissions. Steam scrubbing systems now strip pollutants from the pulping process and incinerates them. In addition, the scrubber eliminates 80 to 90 percent of the eggish smell notorious for mills. Hayes, an environmental activist and solar power proponent, rose to visibility in 1970 as the coordinator of the first Earth Day. He also founded the Earth Day Network, and in 1999, Time Magazine honored him with the title “Hero of the Planet. Since 1992, Denis Hayes has been president of The Bullit Foundation in Seattle, Washington. He remains a leading advocate for environmental and energy policies, not only in the Pacific Northwest, but around the world. Earth Day is here once again. It has grown into one of the most widely celebrated secular holidays in the world. On April 22, 2015, let’s celebrate our planet, and pay homage to our local “Hero of the Planet.” Thank you Denis Hayes. 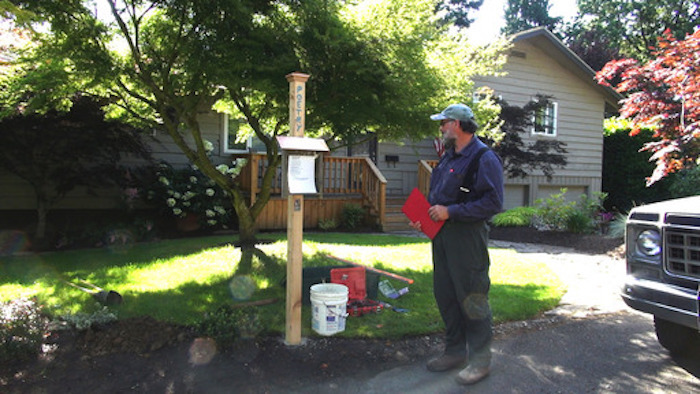 Thanks to the “The Poetry Post Man,” and his friendship with the sellers of a home in Washougal, Washington, my buyers are getting the only house in the county with a Poetry Post! What a delightful surprise when we stumbled upon a lovely post while exploring the back yard during the inspection. Mrs. Buyer dabbles in poetry and is a huge fan, therefore, she was both intrigued and charmed when she discovered this poem inside of a plastic box attached to the post – A History of Weather by Billy Collins.We both hoped the post and the poem came as result of these sellers as it indicates similar appreciation. 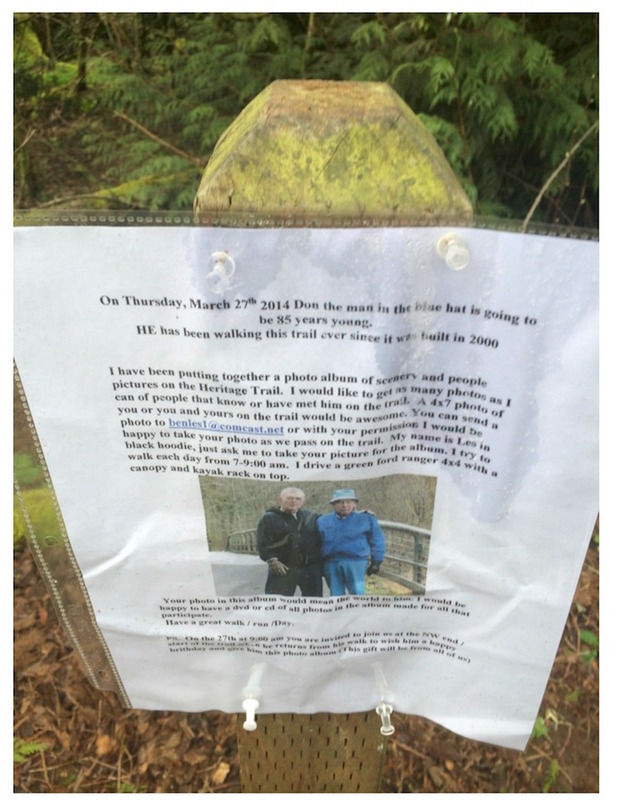 Heritage Trail in Camas - A celebration for "The Man in the Hat."